The No. 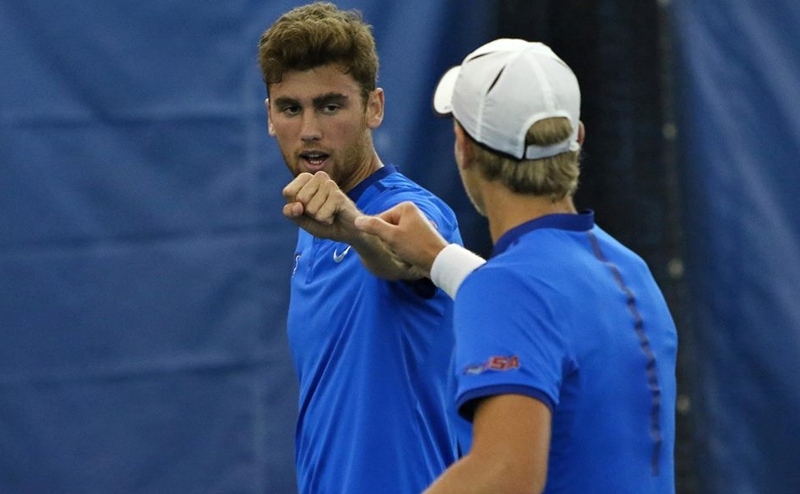 4 Middle Tennessee men’s tennis team knew they had their hands full when they drew No. 5 Charlotte for the first round of the Conference USA Tournament. 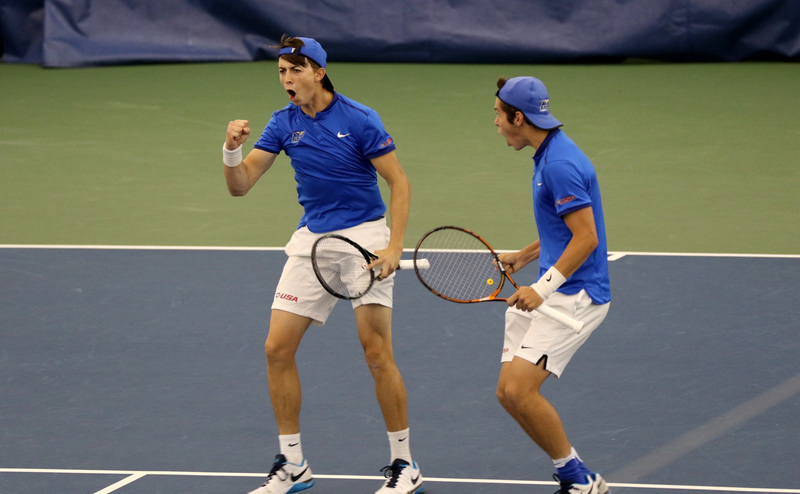 Even though the Blue Raiders beat Charlotte 6-1 earlier in the season, anything can happen come tournament time. 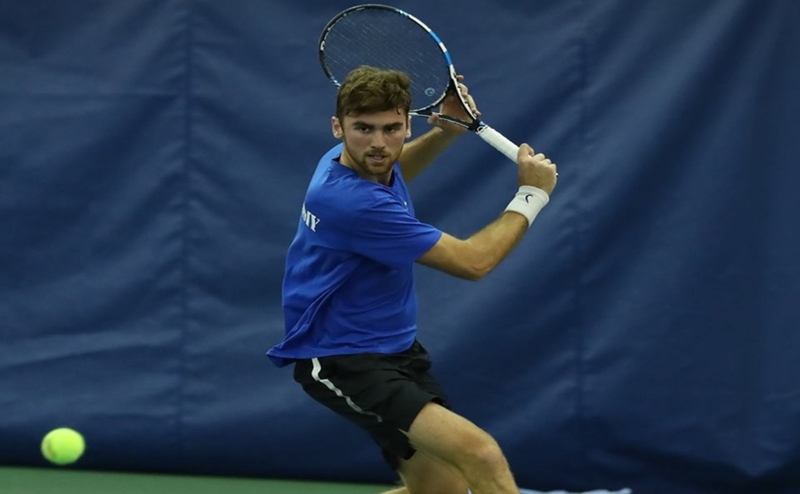 Without a senior on the squad, the Blue Raiders settled in early and dominated doubles play, leading to a 4-0 rout over the 49ers. Charlotte is known for suffocating teams in doubles and even handed MT a loss in that category in their last meeting. 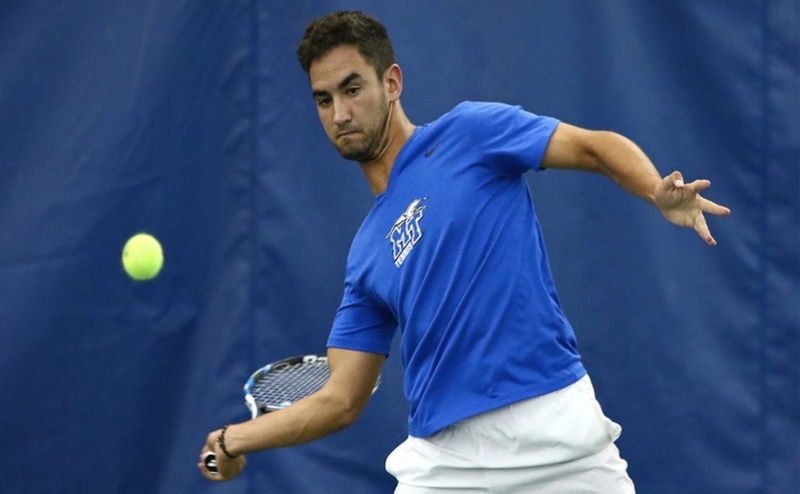 The MTSU duo of junior Miguel Negre and Gian Issa took their match 6-3 over Charlotte’s Christoforou and Josh Aubrey. Over on courts one and two were grudge matches. In a type of cat and mouse game, freshman Tom Moonen and sophomore Gonzalo Morell couldn’t seem to break away from the 49ers’ Garcia Moreno and Oriol. Their match ended in a 6-6 tie due in part to MT’s Max Rauch and Nicolas Buitrago clinching doubles with a win of their own. 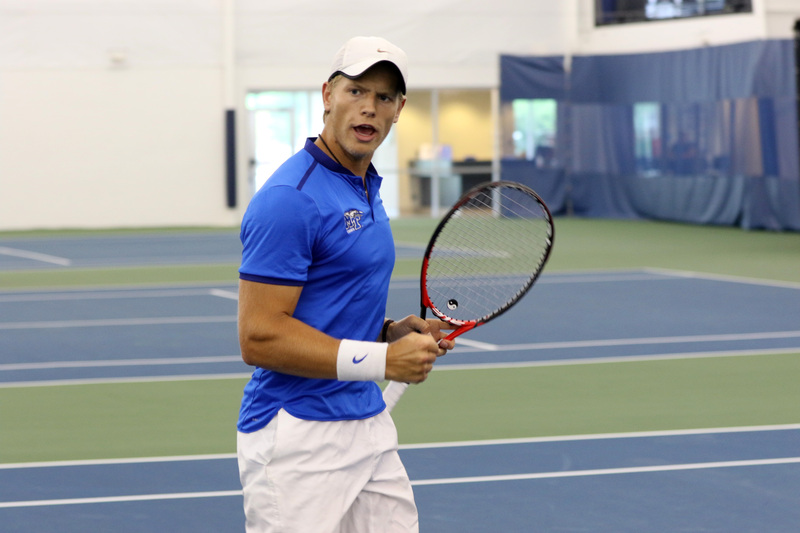 The duo outlasted Leonardo Menezes and Sam Rice to the tune of 7-6, giving MTSU all the momentum they needed to propel into singles. 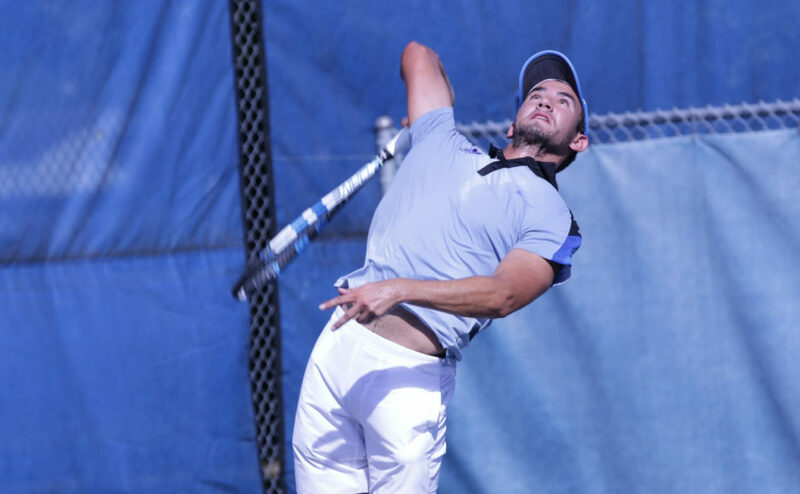 Rauch kept his adrenaline going as he took the win in singles No. 6 by scores of 6-3, 6-2. Across the way on court No. 3, Nigre was finishing up an emotional set that saw him go 6-3, 6-3, but by no means was it easy. Charlotte’s Menezes put up a good fight, but MT’s oldest player was too much for him as the Blue Raiders would take a commanding 3-0 lead. Moonen capped off the day less than two minutes later, defeating Christoforou 6-3, 6-0 to clinch the match 4-0 in favor of the Raiders. The Blue Raiders will now play No.1 Rice for a chance to go to the championship. Gametime on Saturday is set for 2 pm.